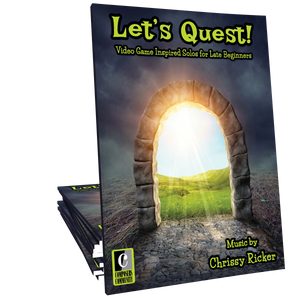 Have video game lovers in your studio? Of course you do! 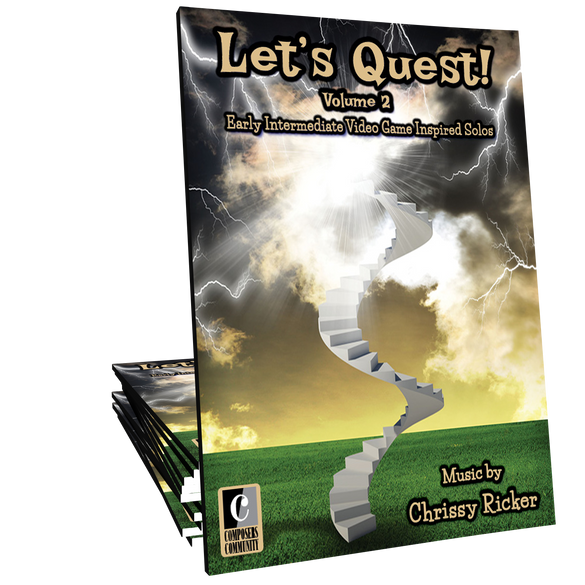 Let’s Quest Volume 2 is a collection of eight video game inspired showcase solos and two duets composed by Chrissy Ricker, that will delight early intermediates of all ages in your studio! 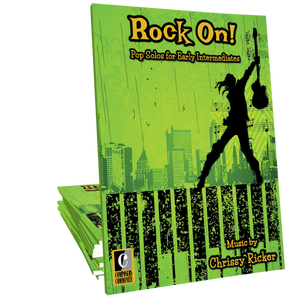 This book is not only motivating and sounds great, but has wonderful pedagogy for teen students at an intermediate level. "Moonlight" was the first choice for my student to learn and a definite hit. I'm not a gamer and not a teen but I had to think even I wouldn't mind getting a copy for my own enjoyment someday! 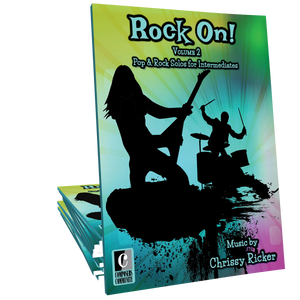 I have a new student who saw this book by my piano. His eyes lit up when I played from it, and it has given him motivation to work towards playing the pieces in it. They are very appealing to pre-teens/teens. Crissy is an absolute studio favorite! My students can't get enough of her brilliant pieces! They are always huge hits at recitals! Flashy, Fresh, Fun pieces to play! Nothing cutesy here, there'll all cool! My students are enjoying this collection!